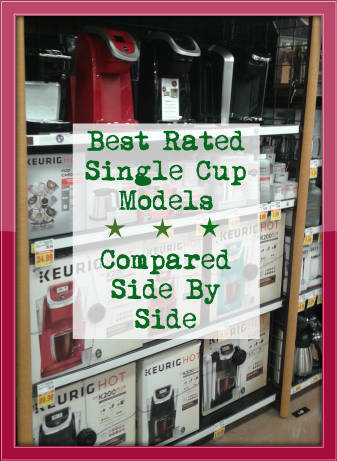 Single Cup Coffee Maker Reviews - Welcome! Hello and welcome to Love To Sip! Where the coffee is always hot and the tips and advice fresh as well! First off let me say a big hearty fresh-brewed “Welcome” and thank you for visiting today! It can be perplexing when you’re dazzled by the array of coffee makers out there today that operate with the use of those little pods known as “k-cups”. Let’s just say we felt that way too once, so you’re in good hands! 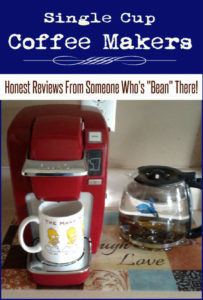 Honest Single Cup Coffee Maker Reviews…From Someone Who’s “Bean” There! Hopefully that doesn’t sound too cheesy? We take our research seriously in the evaluation of various coffee maker models, factoring in things like performance, reliability and yes, value for the money. Our process includes hands-on research as well as close-up testing and evaluating, in addition to consumer, friend, family and manufacturer inquiries. “Spilling the beans” on what makes different models tick is a lengthy process, albeit enjoyable one. By due diligence, these rank the very best when sized up for performance and overall satisfaction. Keep in mind that this is more a comparison of “best of the best” not necessarily good, better, best, etc. 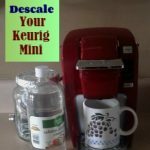 I’ve had the Keurig K10 Mini for 2 years and love it! Great size as well as color selection. About Our Reviews – 35 and Still Going Strong! 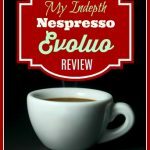 To date we have created well over 35 reviews of popular and new single brew coffeemakers, and are always keeping our eyes peeled for new releases, brewer model discontinuations, and pertinent information related to the industry. It’s a tough job, but somebody’s gotta do it – somebody who enjoys reading, writing and coffee, that is 🙂 And sometimes it takes a good bit of coffee to persist long hours as I conduct my research 🙂 I always got straight A’s in reading and writing so it comes as no surprise. The labor of love that produces our coffeemaker reviews involves a great deal of reading, research, testing, and evaluating, in that order. I read manuals, I read consumer reviews, articles, you know, all of that “fine print” that is important but is easy to brush aside. After all, when you are going to part with hard-earned coin of the realm you want to avoid having to deal with all of that laborious work and just cut to the chase of “the best” when it comes to selecting a brewer for the home, office, RV, kitchenette, or dorm. At times, my research takes me to visiting the respective model’s retail venues ( Best Buy, Kroger, Walmart, etc.) whenever feasible, in which case I am able to better grasp the nuances of buttons, touchscreens, and water tanks more easily. Sometimes it takes getting “up close and personal” as they say, before I record my findings. We at LoveToSip sincerely hope you enjoy visiting and that we answered some burning questions, provided insight, or helped you to find that dream machine! And if you do have questions that didn’t get answered -shoot me an email! I’m always happy to provide feedback and do what i can to offer the right assistance. Are these fancy single cuppers going to put me in the poorhouse? I guess it would depend on your idea of a poorhouse 🙂 But in all honesty, many (with a few exceptions) are reasonably priced….and there are some occasions when you can get a better price than the standard msrp. As a general rule of thumb – it is mainly the models intended for commercial use (such as in a restaurant or hotel lounge) that are in the >$300 range as well as a few models that produce more “specialty” type beverages. 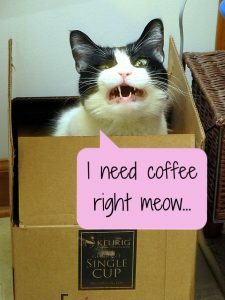 I understand that’s not all though…you may have concerns about the costs of the K-cups themselves especially when looked at in a monthly or yearly perspective…There are ways to have your coffee and drink it too while saving some “green” in the process! It’s OK to Do a Little Comparison Shopping! Not all k-cup models are created equal – the overall size can be important if you have a smaller living area – as well as such parameters as the water tank. Some units don’t have water tanks and are strictly one cup water in one cup coffee out, for example. Other things like brew controls as well are important – some consumers want all the bells and whistles and some would be just as happy without them. Why single cup coffee makers in general? Are they better than traditional “pot” models? Do you entertain guests often, who tend to have varying tastes in their preferred beverage? (e.g., some like decaf, others Colombian brew, etc.) 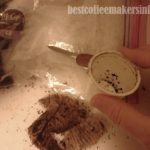 Being able to pop into a different K-cup pod for the different guests is a great alternative to one whole pot of just one kind. All these are good considerations for you and your lifestyle. I’m confused, What’s the story behind “Love To Sip” and “Best Coffee Makers Info”? Oh, that! Glad you asked! Oh, and yes, I wish I had registered my domain name as “LoveToSip” Someone brought that name to my attention once and I thought it was catchy – but it was too late as I had already registered the domain I have. In case you were curious:) A domain name is not something you can change once you “finalize” it. We’re always happy to take requests if you’re thinking of a model that has not been reviewed yet here…just drop us a line in the Comments, or you can use our handy Contact form and we will try to respond as quickly as we can. But overall, your queries are important to us so we included a handy guide that covers many topics, everything from water purity issues to general maintenance of the respective coffee makers. Found an error in something I mentioned? Most likely it was an oversight…If so, please bring it to my attention so I can correct it. ..we want to make our readers’ experience as worthwhile as possible. 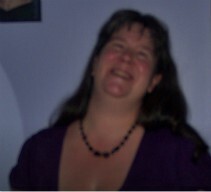 Although I strive to make sure the info here is up to date and pertinent, we are human and occasionally make mistakes. 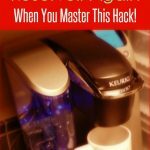 Once again, we hope for this to be a valuable resource for you when considering the purchase of a new single cup coffee maker that will bring you enjoyment for years to come. Here’s to many happy brews!